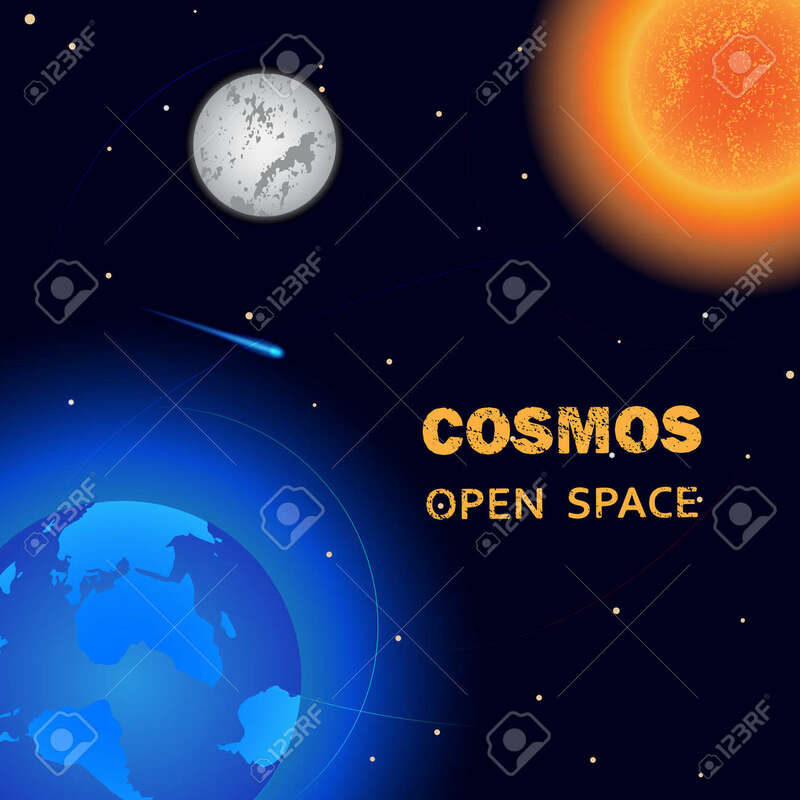 Vector Illustration With The Image Of The Planets, Earth, Sun, Moon. Bright Cosmic Background With Planets, Stars And Comet. Lizenzfrei Nutzbare Vektorgrafiken, Clip Arts, Illustrationen. Image 99469974. Standard-Bild - Vector illustration with the image of the planets, earth, sun, moon. Bright cosmic background with planets, stars and comet. Vector illustration with the image of the planets, earth, sun, moon. Bright cosmic background with planets, stars and comet.